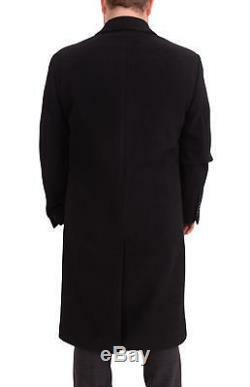 Calvin Klein Mens Classic Fit Solid Black Full Length Wool Blend Top Overcoat. 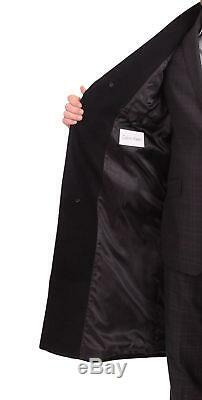 Classic fit(Generous cut); Three button closure Single rear vent; Notch lapels; Fully lined; Full length(below knee). 52% Wool / 37% Polyester / 6% Other Fibers / 5% Acrylic. All prices are item specific and flat based on the weight of the item. Our warehouse is located at 26150 Greenfield Rd, Oak Park MI 48237. 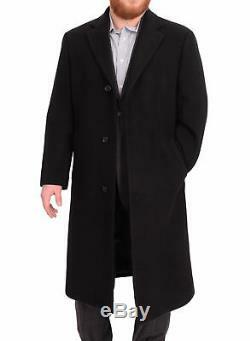 The item "Calvin Klein Mens Classic Fit Solid Black Full Length Wool Blend Top Overcoat" is in sale since Thursday, January 4, 2018. This item is in the category "Clothing, Shoes & Accessories\Men's Clothing\Coats & Jackets".